Three current and former Chicago police officers accused of trying to cover up details of the Laquan McDonald shooting will stand trial for their alleged crimes after a judge rejected a defense request to toss out the charges against them. Cook County Judge Domenica Stephenson on Monday denied a motion to dismiss multiple charges against Chicago police Officer Thomas Gaffney, ex-Officer Joseph Walsh and former Detective David March, ruling the defense failed to prove any prosecutorial misconduct that would warrant the case being thrown out. The three men were each charged last year with conspiracy, official misconduct and obstruction of justice after they allegedly falsified official reports from the scene of the 2014 shooting to “conceal the true facts of the events” surrounding McDonald’s death in an attempt to shield officer Jason Van Dyke from a criminal prosecution. Van Dyke was convicted last month of second-degree murder and 16 counts of aggravated battery stemming from the fatal shooting. Stephenson read from a written ruling during a brief hearing Monday afternoon, explaining how she found no errors that would rise to the level of her dismissing the case. Her decision came less than a week after a lengthy, and at times testy, hearing in which defense attorneys accused the state of prosecutorial misconduct during past grand jury hearings. In her ruling, Stephenson said defendants are allowed to challenge indictments for three reasons: the prosecutor’s unsworn testimony is the only evidence provided to a grand jury, an indictment is based on mere suspicion or there have been “clear” allegations of prosecutorial misconduct. But in order to prove prosecutorial misconduct, Stephenson said the defense must show that prosecutors prevented a grand jury from returning a “meaningful” indictment by either misleading or coercing them. She found they failed to meet that burden. 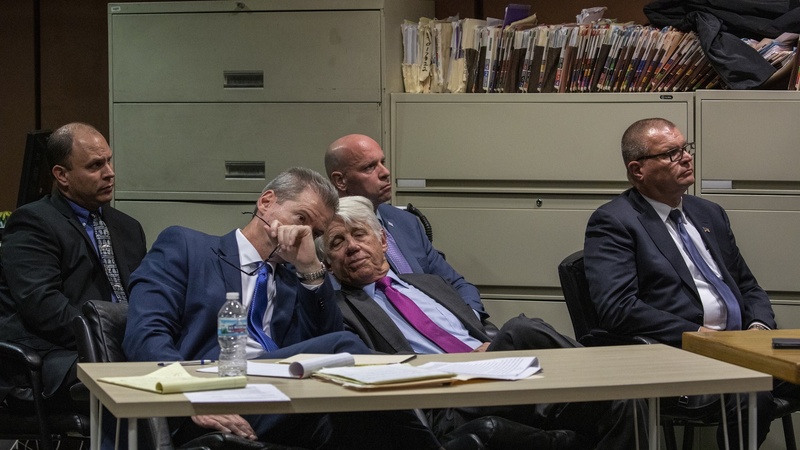 Prosecutors have argued the three men began working to conceal details of the shooting hours after it happened, putting in written reports that McDonald had attacked three officers and injured Van Dyke before he was fatally shot. The infamous dashcam video of the shooting disproved those reports, showing McDonald didn’t injure anyone before he was killed. March also allegedly instructed another officer on the scene to include false information in their incident report that Van Dyke was injured during the encounter. Defense attorneys, meanwhile, have said there isn’t enough evidence to sustain the charges and accused prosecutors of misleading members of a grand jury that returned the charges against their clients. They argued the case isn’t based on evidence, but is instead the result of political pressure that built up following the release of the dashcam video in 2015. Stephenson on Monday also denied three other defense motions, including a reqest to bar testimony from a state expert witness — a supervisor at the Chicago Police Academy — who is expected to testify about inconsistencies in tactical response reports filed by Gaffney and Walsh the night of McDonald’s death. The defense had also sought to bar hearsay statements included in the state’s proffer and wanted the state to turnover handwritten notes from its investigators. March and Walsh resigned from the Police Department after a city inspector general’s report recommended they be fired. Gaffney remains suspended without pay. All three defendants on Monday reiterated their intention to seek a bench trial before Stephenson. They will appear at a final status hearing next week before their trials are scheduled to begin Nov. 26.